On this day, October 17, 1777, a Revolutionary War battle, one of the most decisive battles in world history, concludes. The summer of 1777 was rough for the Americans having suffered two heartbreaking losses at Brandywine and Germantown, and with the surrender of Fort Ticonderoga to the British when General Burgoyne, with ten thousand of his soldiers together with their Indian allies, descending from Canada, captured it. Burgoyne, after winning the Fort, expected General Howe and Colonel St. Leger to join him on the Hudson River. Had these three columns joined forces as planned, they could have captured and controlled the entire route between New York Bay and the St. Lawrence River, a move which would have severed New England from the rest of the country, thus cutting off any possibility of mutual aid and most likely bringing the war to a speedy conclusion. But these plans never came to fruition. Howe never got his orders to help Burgoyne, and St. Leger was defeated by American General Herkimer at the battle of Oriskany. Burgoyne, being left to fight the Americans alone, soon found himself outnumbered by New England volunteers. On top of that, Burgoyne’s forces had been greatly diminished as around one-third of them had been killed or captured during the fighting between Fort Ticonderoga and Saratoga. The British General had no chance of holding out. On October 17, 1777, Burgoyne and his forces surrendered to the Americans at Saratoga. Historian Sir Edward Shepherd Creasy in his famous, “The Fifteen Decisive Battles of the World: from Marathon to Waterloo,” categorizes the battle of Saratoga with the Battle of Marathon, the defeat of Athens at Syracuse, and the destruction of the Spanish Armada, and others, as one of these world changing battles. The war wouldn’t end till four years after Saratoga, so why is it so decisive? The implications of this battle make it important. Saratoga, from two perspectives, impacted the ultimate outcome of the war and world history. First, from the American perspective: As news of the victory spread, shouts of joy and confidence replaced the despair hanging over everyone’s heads after the Brandywine and Germantown defeats. Americans gained new confidence and were inspired with a revived hope in their cause. Second, from the European perspective: Europeans were watching the British efforts to cut off New England very closely. After Saratoga they realized the Americans, with spirited soldiers under the persistent and patient General Washington, had a shot at winning this thing. Meanwhile, Benjamin Franklin, our great diplomat, was in France trying to form an alliance. 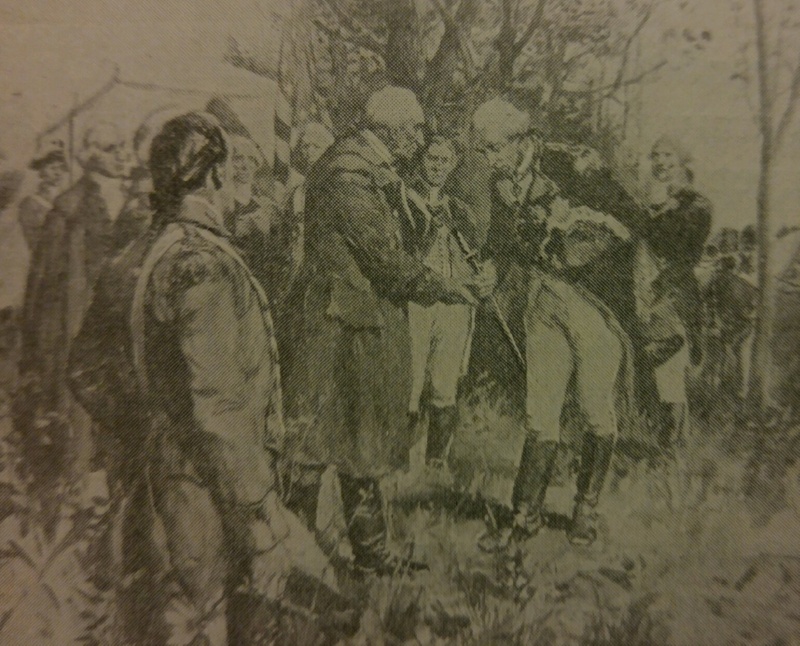 The victory over Burgoyne helped Franklin sell it. The French, convinced by the outcome at Saratoga, recognized our independence and sent a fleet to aid us in our cause. The treaty with France, which stipulated that America would accept no peace terms with England unless it recognized our independence, was signed on February 6, 1778. Now you know, as Paul Harvey used to say, the rest of the story.